Easy uninstall programs in Windows 8, 8.1 or Windows 10! Please read this:► ... Delete eg. uninstall Windows 8 App's (applications) or add to Win8 Start(menu)? and open "Programs and Features" in you Windows OS (... see Image). Then select the installed Windows 8/8.1/10 program. Easy via Mouse right-clicking on the corresponding program you will see an option to uninstall the program. (Image-1) Uninstall programs in Windows 8 or customize! Windows-8 - FAQ-36: How to uninstall programs in Windows 8 / 10 and 8.1? Can I uninstall programs on w8.1? Uninstalling a program in windows 8.1? Where is add and remove programs on windows 8.1? Uninstall programs windows server 8.1? HOW TO uninstall program in windowss 8.1 and 10? Uninstall programmes windows 8 and 8.1? Can I open admin uninstall or change program in windows 8.1? Difference uninstall app and uninstall program windows 8.1? Add and Remove Programs 8.1, Cannot Uninstall Program Windows 8.1? Unistall programs windowss 8.1 and 10? How to bring up programs to uninstall in windowss 8 and 8.1? How to uninstall a program that is not listed in window 8.1? Screen shots for uninstalling a program in a windows 8/10? How to remove programs in win 8.1? Can I unistall programs on windows 8.1? How to uninstall progaram on windowss 8 and 8.1? How to deinstall programs in windowss 8.1 and 10? How to uninnstall program in win8.1? Uninstall apps in safe mode in windows 8.1? Can I uninstall program in win8.1? How to uninstall progrmas in windows 8.1? How to un install programs in windows 8.1? Add and Remove Programs Windows 10? Uninstall program in windowss 8 and 8.1? How to uninstall a program on windowss 8.1 and 10? How to unistall the allison program from w8.1? Windows 8 activator uninstall programs? How to uninstall program for win 8.1? Uninstall program on windows 8 and 8.1? How to uninstall a program from windows 8.1? How to uninstall programmes on windows 8.1? Uninstall programs in window 8.1? Uninstall programs in wins 8.1 and 10? How to uninstall wins 8.1 and 10 enterprise activator? How do i find and remove programs thats not listed in the control panel? How to unimstal programe in windows 8.com? Windows 8.1 how can uninstall programs? Uninstall program on windows 8.1? How to uninstall programs windowss 8.1 and 10? Can I unstall a program with windows 8.1? How to uninstall a program on Windows 8.1? Uninstall a program in windows 8.1? Unninstall programs at windows 8.1? How to uninstall programs on windows 8.1? Open add remove programs in windows 10 or remove programs windows 8.1? Delete icons in programs in windowss 8.1 and 10? Free download keyboard uninstaller for windowss 8 and 8.1 64 bit? Windowss 8.1 and 10 uninstall program? How to uninstall a program with windows 8.1? How to uninstall program from windowss 8 and 8.1? Steps when uninstalling a program on a windows 8/10? Windows 8 uninstall a program? How to uninstall a program in win8.1? How to unistall a program that will not uninsta? Windows 8 uninstall program stuck? How to uninstall a program in windows 8.1? What cause i cant uninstall programs in Windowss 8.1 and 10 enterprise? Can I remove program from windows 8.1? How to unistall programs in windowss 8.1 and 10? How to uninstall programs from win 8.1? How to unistall programmes in window8.1? Can I uninstall program in windows 8 rt? How to remove a program in windows8.1? How to uninstall programs on windows 8 u tube? Howto uninstall a program in window 8.1? How to uninstall program win 8 eg windows 8 uninstall program? Wins 8.1 and 10 uninstall program? How to remove password uninstall programs on win 8.1? How to uninstall program on win8, where is the uninstall program in windowss 8 and 8.1? Manual uninstall programs windows 8.1? How the software is uninstall in windows 8.1? How to uninstall program in windows8.1? Programm deinstallieren unter wins 8.1 and 10? Can I uninstall programs windows 8.1? Can not delete program in control panel for windows 8.1? Can I uninstall programs in windows 8.1? How to uninstall software on win8.1? How to unistall a program in windowss 8.1 and 10? How to Uninstall Programs in Win8.1? Uninstall software windows 8.1 from windows store? Uninstalling a program on windows 8? How to unistall programs in win 8.1? How to uninstall program on win8.1? 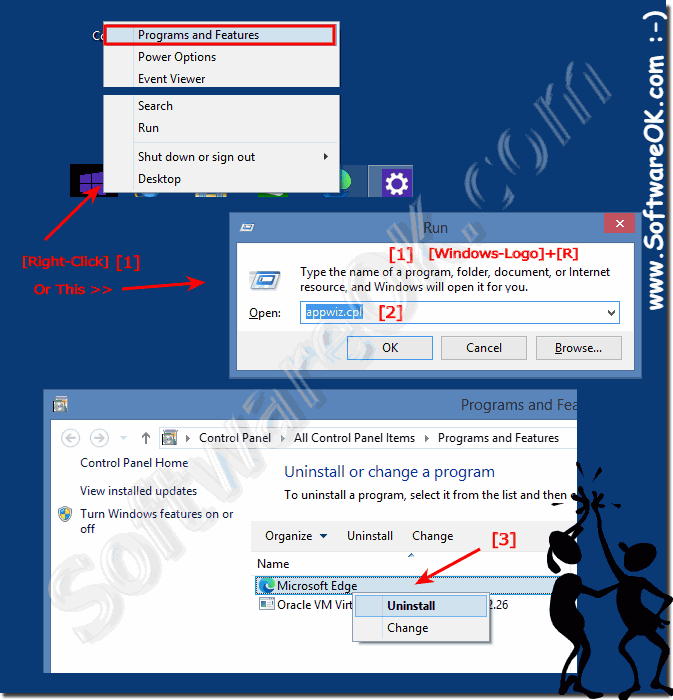 How to unistall programs in windows 8.1? How to to uninstall a program in windows 8.1? Search windowss 8.1 and 10 for add remove programs? How to uninstall programs on window 8.1? How to uninstall software on laptop in windows 8.1? Uninstall programs in windows 8.1? How to uninstal program in windowss 8 and 8.1? How to unistall a program in windows 8.1?